This Balmain Executive Pen is a unique pen with its own wonderful flavour and attitude. 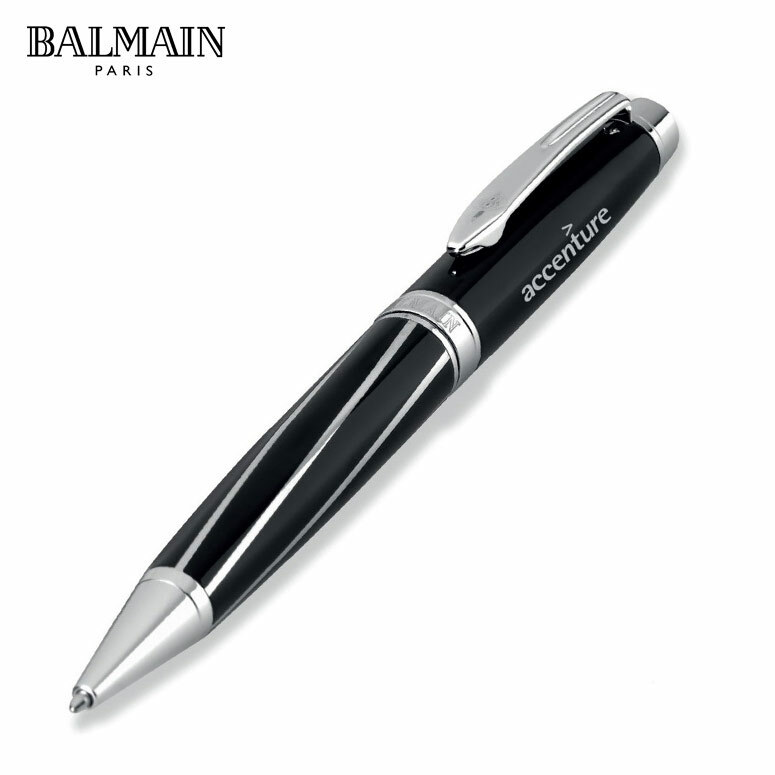 With a stylishly thought out patterned barrel design that combines matte and glossy elements, as well as the comfortable feel and polished chrome trim, this is an executive pen that can set the tone for your professional yet youthful brand. 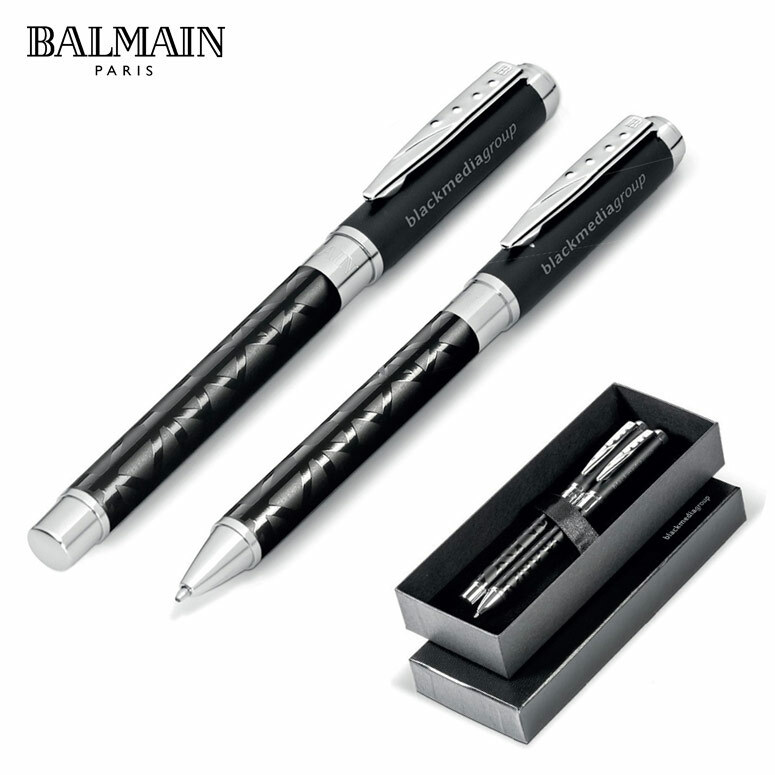 A wonderful creation utilizing a range of textures and effects, this awesome Balmain Mattify Executive Pen is a clear way to show your company ethos as well as the level of respect it holds for clients or executives. With your logo or brand name engraved on the upper section of the pen, this becomes a sophisticated and classic present for clients, staff customer or stakeholders that communicates your brand message clearly and directly. The sleek black design makes it perfect for any occasion- the little black number of the office, shall we say- whether in meetings, signing contracts or just taking notes on the phone, this is a branded marketing idea that can be and will be used on a day to day basis. 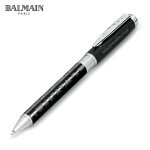 An ideal gift for the stylish Cape Town executive, this is a gift clients will love to show off.